How could anyone be so excited about a lock?! This was my first thought when a friend told me about GATE. Why would a team of prominent engineers and designers spend two years developing a product that's been on the market since... antiquity? The most recent models were popular already mid-19th century. A lock is a lock is a lock. 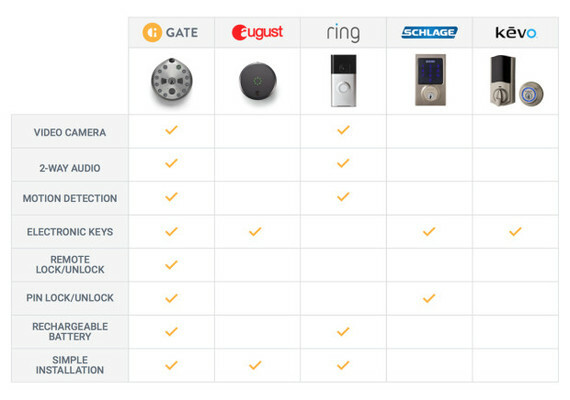 GATE combines a standard key lock with a LED-lit keypad, a motion-activated 150-degree camera with two-way audio (mic and speakers), all synched to an app to create the world's most sophisticated "access system" manageable from any mobile device. I stand corrected. This might be the dawn of a new era in home improvement. Meet Gate from Gate Labs on Vimeo. Here is how GATE works: it can be installed into any deadbolt-compatible door and linked to the special free app in your phone. You can use it as a good old regular lock with keys. However, should anyone come within a pre-set range of your door, you will be notified regardless of whether or not they press the call button. The audio-video steaming is activated and you can interact with the visitors in real time. Then you can (un)lock the door for them with one touch on your phone or share a one-time pin code for entry. The app automatically logs and reports all activity. I don't have to be stuck at home waiting for a delivery? I don't have to give away multiple sets of keys to my dog walker, cleaner, concierge? I can let friends or family in early even if I am running late? GATE is an intuitive "invention" that seems like it should have been here all along. 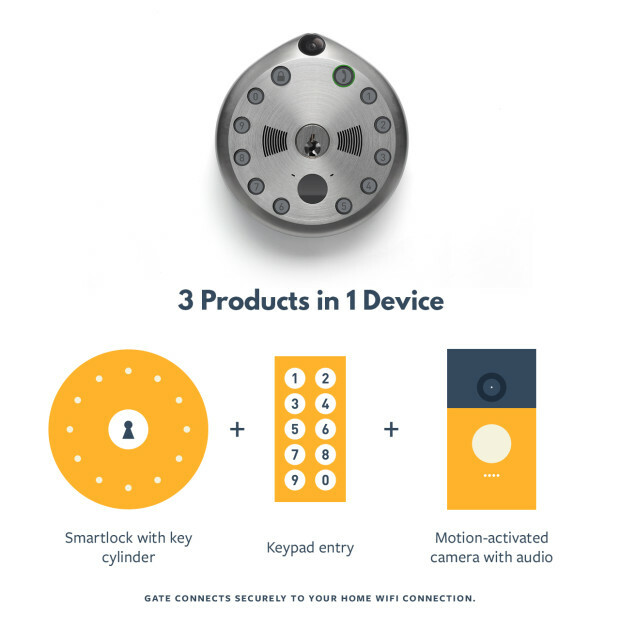 The media is already abuzz and before GATE ships to retailers in 2017 (check out their IndieGoGo campaign here), I reached out to Ehsan Saeedi, Gate Labs co-founder and CEO, with five "stupid" questions about the smart lock. Stephan Rabimov: From "Panic Room" to the recent "I.T." thriller, a home security system gone rogue is a Hollywood staple. How is GATE different? Ehsan Saeedi: We are not a security or surveillance company. We help people manage access to their door. This means your physical keys and the deadbolt knob are still in place and you can always use them to manually lock and unlock. We just added functionality on top of the existing residential lock cylinders. Now beside your keys, you can use your phone to lock/unlock remotely, or you can send people access codes. We also added a 720p camera and microphones to give users more confidence and trust. So it's not going to call the cops? 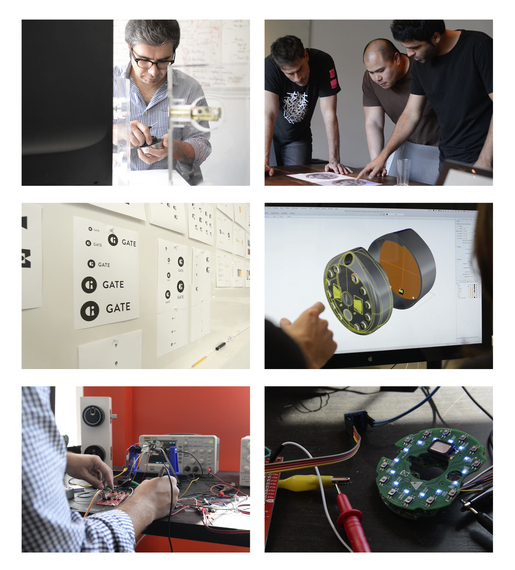 ES: GATE notifies the owner of any motion in front of their door, and records and streams the video in real time. User can decide what to do with that information. It's all about giving you more controls. We will implement emergency call within our mobile app. ES: All GATE data and video channels are fully encrypted. We provide the same level of military grade encryption as phone data transfer or mobile banking. What if the lock breaks? ES: The warranty covers normal wear and tear and workmanship. It's a mechanical lock with physical keys that will maintain functionality for years. The electronics are also commoditized components that are used in consumer electronic devices and have a long lifecycle. This is built to last. What if I get locked in and can't get out? ES:That is not possible, again. We have the traditional deadbolt mechanism in place. You can always unlock the door manually from either side. There is no way that you get stuck. This was the whole point and important design criteria from the beginning.